I expected Netflix’s The Haunting of Hill House to remind me of the Shirley Jackson novel on which it is based, or perhaps of other horror stories I’ve absorbed over the years. I did not expect it to remind me of This Is Us. Given the current TV landscape, maybe I should have. This bingeable iteration of Jackson’s Gothic horror tale, which debuts Friday, is a non-literal adaptation of its source material. Though it borrows some names and very basic plot details — Hill House: still a super-messed-up mansion where you definitely do not want to live! — the Netflix version is as much a family drama as a work of fright. Instead of casting Hill House as the center of a paranormal investigation like the book and its two subsequent movie adaptations, the series introduces us to the members of the Crain family, who move into the aging Massachusetts estate in the early 1990s with the intention of fixing it up and flipping it. 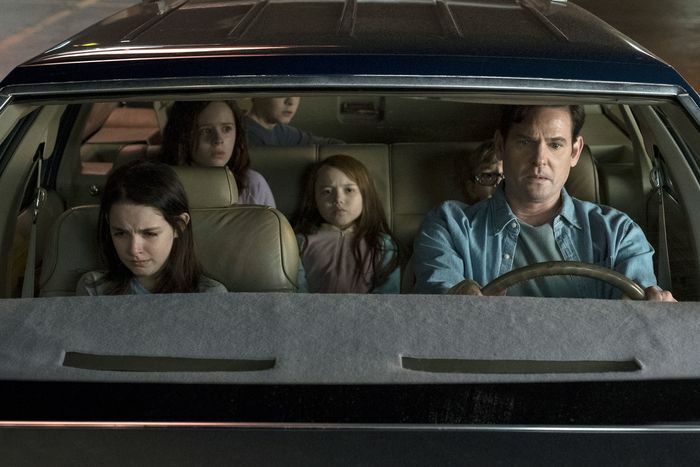 But immediately, spirits start appearing and wreaking havoc on the five children, as well as their parents, Liv (Carla Gugino) and Hugh (Henry Thomas). More than two decades later, the kids are still reckoning with the effects of residing in that massive, creepy manor. Or, to put it in This Is Us terms: The haunted house is to the Crains as the Crockpot fire is to the Pearsons. But unlike the NBC weeper, The Haunting of Hill House isn’t interested in making its viewers cry. It would much rather scare them to death. Once it gets going — which it eventually does, though it takes a little time to kick into gear — The Haunting of Hill House is pretty darn good at that, throwing horrifying specters right into the lens, but just as often shoving them to the edges of the frame, forcing us to squint to determine whether we’re seeing some thing or merely hallucinating. 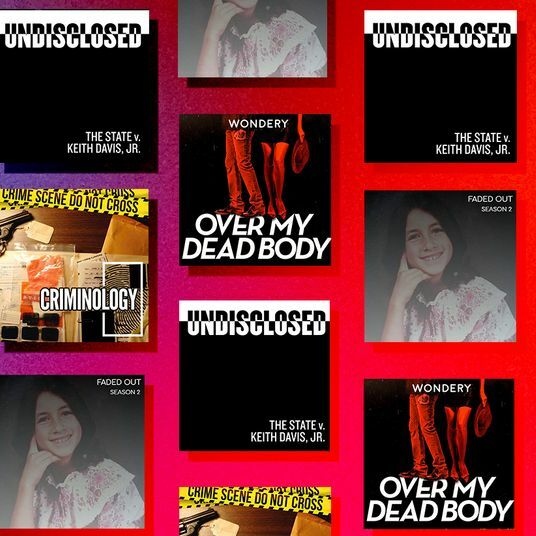 No one on this show wakes up slowly and calmly after a good night’s sleep: They constantly jolt upright in bed, screaming or muttering phrases from some deep subconscious well where they’ve buried all the things they fear most. And in case there’s any doubt, the shock-drama — adapted for television and directed by Mike Flanagan, a horror vet who directed Gerald’s Game and Ouija: Origin of Evil — offers jump scares aplenty, including one in episode eight that nearly catapulted me straight into 2019. That being said, The Haunting of Hill House unfolds at too plodding a pace and suffers from that persistent Netflix affliction of excessive running times. Nearly every episode clocks in around an hour, when 45 minutes could have gotten the job done. (I was just as startled by the fact that one episode was an hour and ten minutes long as I was by all the entities from otherworldly realms.) But once the series establishes its storytelling approach — which involves toggling from flashback to present, sometimes revisiting scenes from slightly different perspectives to flesh out the events that transpired during that summer at Hill House — it hooks you in, compelling you to keep watching until certain mysteries are resolved. In the first episode, Nell Crain (Violet McGraw), the youngest daughter in the family, comes face to face in the middle of the night with a Hill House phantom she will eventually dub the Lady With the Bent Neck. It is the first of many encounters experienced by Nell, as well as, to varying degrees, her siblings — twin brother Luke (Julian Hilliard, whose big eyes and glasses give him a Spielberg kid vibe), sisters Theodora (McKenna Grace) and Shirley (Lulu Wilson, who played Marian Crellin in Sharp Objects), and the oldest, Steve (Paxton Singleton) — that announce loudly and clearly that Hill House is not the ideal place to spend a summer or even a second. But stay the Crains do until a tragic series of events forces them to leave, for reasons that are not fully explained until the end of all ten episodes. What happens at Hill House does not stay at Hill House. A large portion of the series fixates on that fact and how one traumatic period has imprinted on the psyches of all the adult Crain children, including Nell (Victoria Pedretti), who, years later, continues to have visions of the Lady With the Bent Neck; Shirley (Elizabeth Reaser), a funeral home director with major control-freak tendencies; Luke (Oliver Jackson-Cohen), a heroin addict and alcoholic; and Theodora (Kate Siegel), an emotionally walled-off child therapist who may have psychic abilities. Then there’s Steve (Michiel Huisman of Game of Thrones and Orphan Black), who, in the most meta touch of the series, writes books about ghosts even though he is the most stubborn non-believer in the family. His first and biggest hit: The Haunting of Hill House, which tells a version of what happened to his parents and siblings, but not the whole, honest truth, including the bitterness and resentment that many of them still harbor toward each other. Casting directors Anne McCarthy and Kellie Roy have done a bang-up job of finding the right actors for these roles, all of whom look like they could really be related; Siegel, in particular, could easily pass for a descendant of Gugino. The decision to cast Thomas and Timothy Hutton as the younger and older Hugh is particularly inspired: Two men who first became famous in their youth are the perfect choice to act as the father of boys and girls who can’t shake the ghosts, literal and figurative, associated with their childhoods. Like just about every ghost story, The Haunting of Hill House raises some questions that require the suspension of logic. The big one: Why the hell don’t Olivia and Hugh leave Hill House after nearly every one of their children starts freaking out about the weird creatures in the basement and the ones that go bump every night? The real answer, of course: Because that’s what people in horror movies and TV shows do. It would have been nice, though, if the series had attempted to address that issue head-on, especially since it has the bandwidth to do it. Another issue: The production values aren’t always quite up to par, like the blatantly fake corpse that Shirley tears open prior to its embalming. The bulk of the budget was clearly spent on other things, like the design elements in the house that make it look sufficiently spooky, and the CGI effects that render the various specters as convincingly freakish as possible. Still, many images in this series generate legit goosebumps: the spirit of an old, ill woman, peeking out from her sick bed; a tall specter in a bowler hat, stalking Luke as a child and again as an adult; the sight of familiar, decaying faces popping out from beneath a soon-to-be buried coffin. Those are the things that may stay in the mind’s eye after watching The Haunting of Hill House more than anything else. In other words, despite some notable flaws, The Haunting of Hill House deserves credit for doing what any good ghost story does: It conjures up the unthinkable and refuses to let us look away.